how to write code for user forms, to interact with their events. The aim of this blog is to show you how to work with combo boxes, list boxes and the like. One of the three pages of the form is shown here. 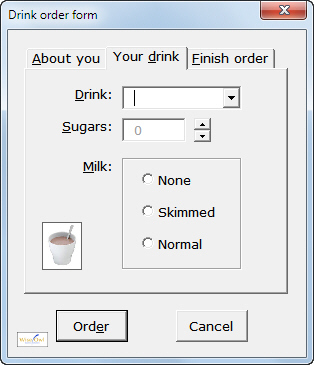 You can download the workbook containing this example user form, complete with all the attached code.